The Eternity collection from Sea Gull Lighting takes your home design to the next level with modern curves and sleek contemporary accents. Urban metal lines in a brushed nickel finish give life to workspace inspired silhouettes. Choose the Eternity collection from Sea Gull Lighting to bring a piece of the city into your home. 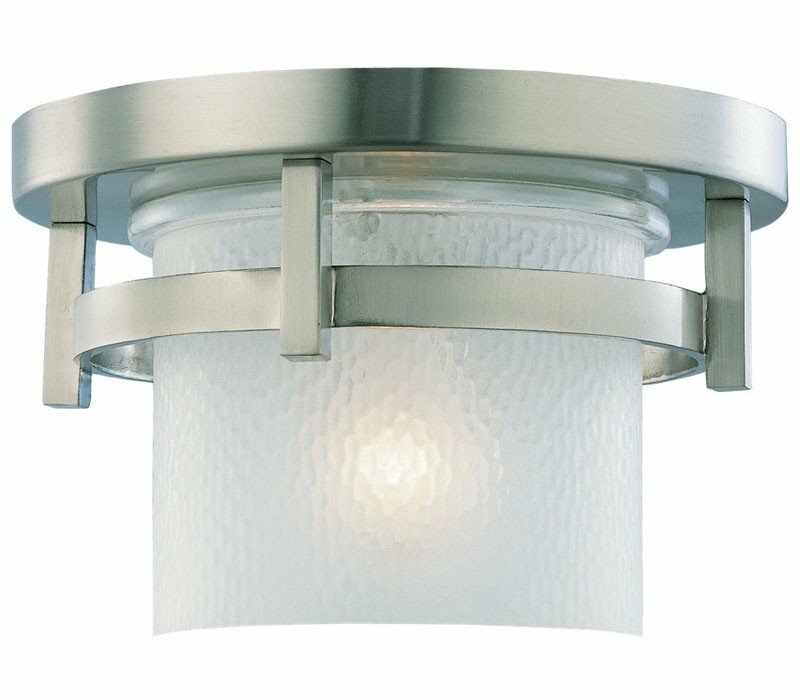 The Sea Gull Lighting 88115-962 Eternity collection Outdoor Flush Mount Lighting in Brushed Nickel uses Incandescent light output and brings Contemporary style. This item is 6.75"H. The wattage is 100. The Sea Gull Lighting 88115-962 requires 1 bulb (not included). Additional Information: Shade-Clear Highlighted Satin Etched Glass.